Jane graduated with a BSc from the University of Newcastle and a BVSc(hons) from the University of Sydney. After completing an internship and Masters degree at the University of Sydney, she moved to the University of Glasgow, where she worked as a research fellow whilst completing a PhD and specialist training in Veterinary Public Health (in the subspecialty of Population Medicine). In 2009 Jane took up a faculty position at Charles Sturt University. Jane is a member of the Australian and New Zealand College of Veterinary Scientists in the chapters of Veterinary Epidemiology and Veterinary Public Health and has acted as examiner for the College on numerous occasions within the Epidemiology Chapter. Jane is an editorial board member for Scientific Reports and reviews regularly for numerous journals. She has published over 60 research articles and is active in research surrounding One Health and zoonoses. Jane's main areas of research are antimicrobial resistance / antimicrobial stewardship and Q fever. 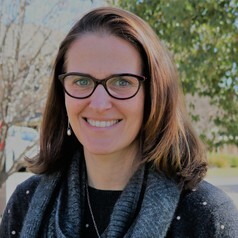 Jane teaches veterinary epidemiology and public health in the undergraduate BVSc/BVetBiol degree at Charles Sturt University, is responsible for the Problem Based Learning component of the degree and has a particular interest in student wellness.